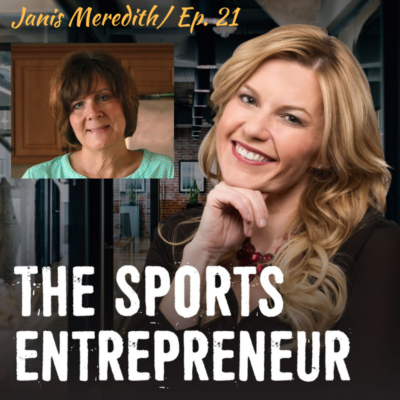 In this episode of the Sports Entrepreneur, Casey discusses parenting and coaching tips with Janis Meredith. Janis is a family coach who focuses on helping parents (and especially sports parents) raise children who are champions in life and in the game. She provides personal coaching, has written 8 books, and is passionate about helping families thrive. As a sports parent, remember what it’s all about – your kids, learning and growing, and who they become in the process. It’s not about your ego as a parent. It’s a long-term goal, not a short-term one. Once they get to a certain age, let your child speak for themselves and fight their own battles. It prepares them better for the future, in sports and in life. It’s ok to ask for help – it’s not an indication of how you are as a parent – so let the ego go. It indicates you want to get better at what you do. In coaches, look for people who inspire the kids to be better humans and help them to become better leaders – not just better athletes. We all have things to give. There is nothing in your life that needs to be wasted.